6 fruit basket decorative mason jar lids are the best choice for preserving jams and jellies! Orchard Road decorative jar lids show off strawberry, raspberry, and grape jellies. 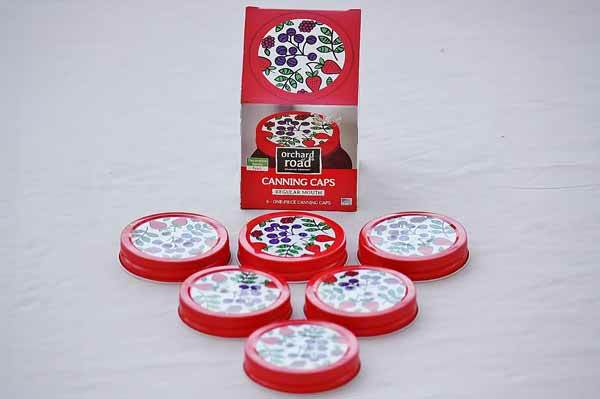 You'll use these canning lids every time on your regular mouth jars. Made in the USA!